Complex Balance. Redefining Patchouli in a modern interpretation was the underlying idea for this wild yet subtle scent. 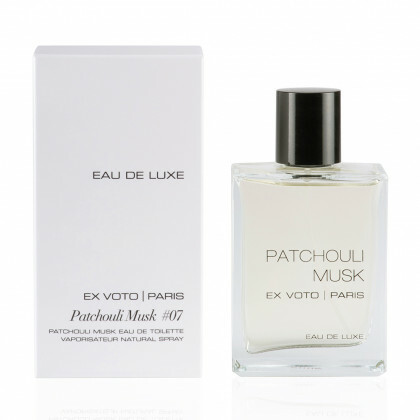 Exalted with hints of Labdanum, Vetiver and Black Vanilla, the Patchouli Musk fragrance highlights a precious blend enhanced by Sage, Geranium and Bergamot. A perfect alchemy of rare essences. Complex Balance. Redefining Patchouli in a modern interpretation was the underlying idea for this wild yet subtle scent. 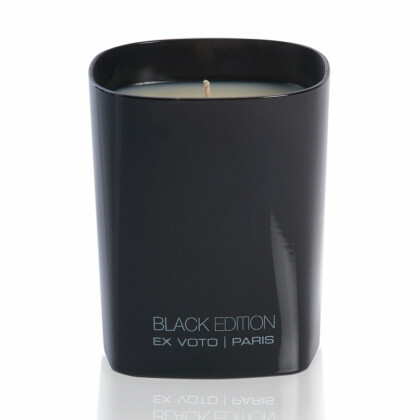 Exalted with hints of Labdanum, Vetiver and Black Vanilla, the Patchouli Musk candle highlights a precious blend enhanced by Sage, Geranium and Bergamot. A perfect alchemy of rare essences. A complex balance. 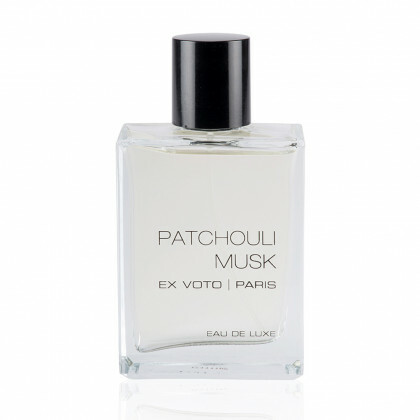 Redefining Patchouli in a modern interpretation was the underlying idea for this wild yet subtle scent. Exalted with peppery highlights of Labdanum, Vetiver and Musk, Eau de Luxe Patchouli highlights a precious alchemy blended with notes of Sage, Geranium and Bergamot. 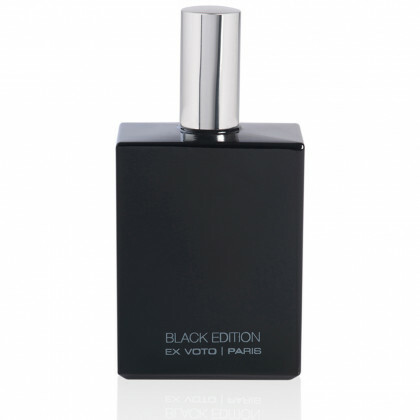 Encased in a luxurious bottle, topped with a bakelite cap, this Eau de Luxe reveals a controlled blend.